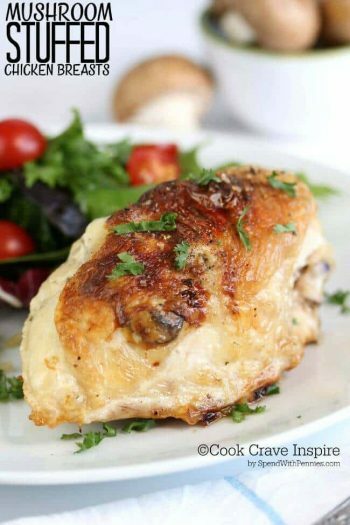 Not only is this chicken super easy, the topping is amazing!! 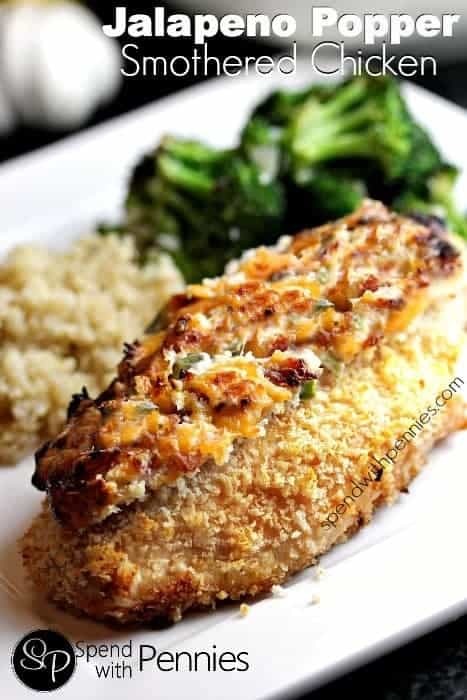 A crispy Panko crusted chicken breast smothered in a delicious and cheesy jalapeno popper topping! 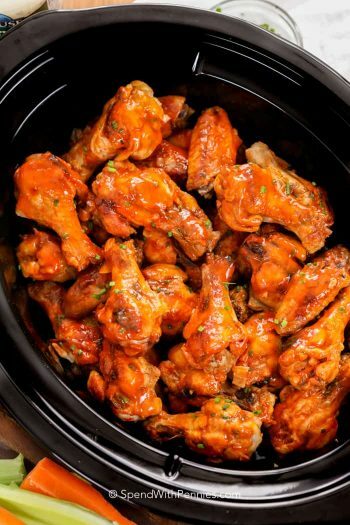 I used fresh jalapenos in this recipe … and I really love spice so I added double the amount of diced jalapeno! If you only have the jarred jalapenos, those will work just fine too! 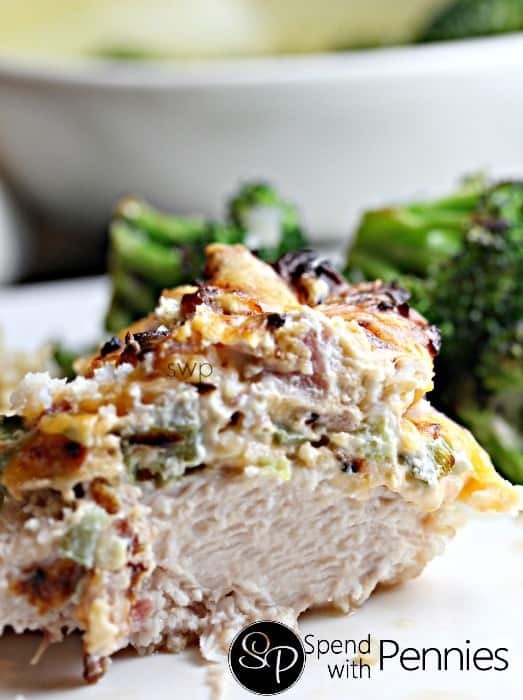 Crispy Chicken with a creamy cheesy jalapeno topping. Combine diced jalapeno peppers, crumbled bacon, cream cheese and grated cheddar in a small bowl. In second bowl, combine Panko bread crumbs, garlic powder and paprika. Beat flour with egg. Dip chicken into beaten egg and then into Panko bread crumbs. Place on a foil lined pan sprayed with cooking spray. Divide jalapeno topping into 4 equal servings and press on the top of each chicken breast. Bake 30-35 minutes or until juices run clear and chicken is cooked through. 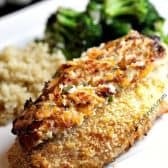 I bet this would also be good if you pound the breaststroke thin and then put your jalapeño mixture inside and wrapped it up then put the bread crumbs.. 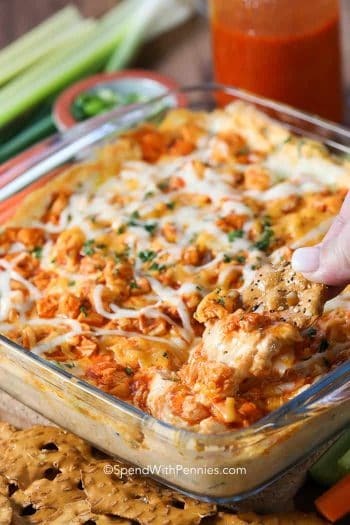 I am making this for dinner tonight and I noticed there is 1tbsp of flour in the ingredients list, but no where is it used in the directions of making the chicken. Is it used to dredge the chicken in before you put it in the egg wash or for something else?